It is our distinct honor and privilege to address You by way of this letter. 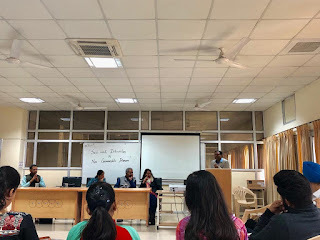 We are the assembled delegates of the 69th Session of the IOGT International World Congress. Founded in 1851, IOGT International is today the largest global network for evidence- based policy solutions and community-based interventions to prevent and reduce alcohol harm. We, the delegates from more than 40 countries, are writing to You today with regard to the Vietnamese government’s work to adopt a new and evidence-based alcohol law to promote health and development in Vietnam. We, strongly support Your efforts to tackle alcohol harm. Evidence shows that alcohol- related damage, death, and deprivation are rampant in Vietnam. Recently published WHO evidence shows that 79.000 people die every year due to alcohol and hundreds of thousands are hospitalized due to alcohol-related diseases. Alcohol also causes massive economic losses of up to 3.3% of GDP. We therefore express our solidarity with the people of Vietnam whose families are decimated and whose communities are disrupted by pervasive alcohol harm. It is clear that high-level political commitment and persistent, evidence-based action is urgently needed. For that reason, we wish to express our grave concern about alcohol industry interference into the process of drafting and adopting the alcohol law. This is deeply troubling because Big Alcohol is ruthlessly pursuing profits with no regard for Human Rights, human dignity, and human well-being. The alcohol industry has accumulated an appalling track record of aggressive political activity to undermine, derail, and obstruct evidence-based and cost-effective alcohol policy measures that would benefit people and societies, but hurt their profits. Big Alcohol interventions in the Vietnamese government’s processes to draft and adopt a comprehensive alcohol laws, is not to promote health and development in Vietnam, but to secure their investments and protect their profits. This is a clear conflict of interest. We therefore reiterate that it is Your governments’ right and duty to both protect Your citizens from harm and invest to promote the health, well-being and socio-economic status of the people of Vietnam. Alcohol is a major obstacle to sustainable development, adversely affecting Your government’s ability to reach 13 of the 17 SDGs. Alcohol is also a leading risk factor for Non-Communicable Diseases including mental ill-health in Vietnam, with strong links between alcohol and cancer, cardiovascular disease, liver disease, pancreatitis, diabetes and mental health conditions. But this NCDs epidemic and the massive burden of alcohol harm in Vietnamese communities can be curbed and modified. High-impact, cost-effective and evidence-based alcohol policy tools are available and we commend You for including those into the draft law. The alcohol policy best buys hold considerable and largely untapped potential to promote health and development in Vietnam and to protect especially vulnerable groups like children and youth, women and people in the most deprived and marginalized communities. For example, a $1 investment in the alcohol policy best buy measures generates a return of $9 dollars. It is of utmost importance to protect Your process of drafting the alcohol law from interference of Big Alcohol. Their fundamental conflict of interest means that they are not a reliable and trustworthy source of information on the impact of WHO- recommended, scientifically proven measures. This becomes clear in, for example, the case of alcohol taxation. We are deeply troubled by the fact that Heineken and other Big Alcohol entities have attacked the inclusion of increased alcohol taxation in the draft alcohol law. Just this week, brand new research published in the “Journal of Studies on Alcohol and Drugs” shows that alcohol taxation is a triple-win measure as it reduces alcohol consumption, eases the burden of alcohol harm, and helps raise domestic resources for health promotion and sustainable development. We want to congratulate You for the progress You have made in drafting a comprehensive and evidence-based alcohol law. We strongly encourage You to follow the WHO advice and best practice examples from other countries in Your region in including all alcohol policy best buy measures in Your law. And we pledge our support to You in standing up to an unethical alcohol industry that has not the best interest of Your country and people in mind, but only their own profits. 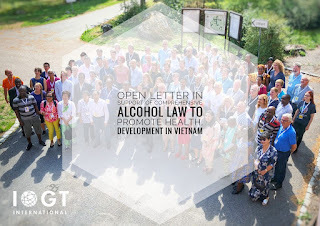 It is high-time that alcohol policy solutions become the priority they should be in Vietnam and Your continued leadership is essential to make this a reality.